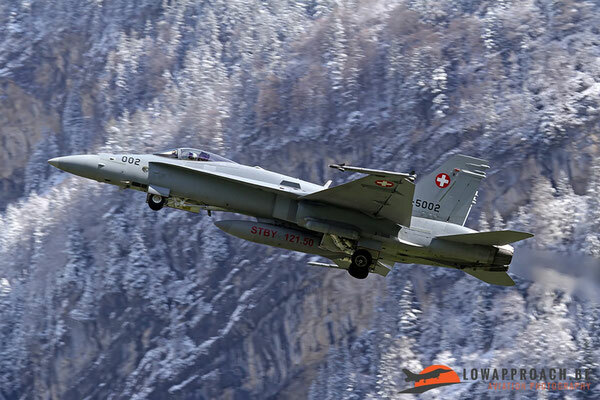 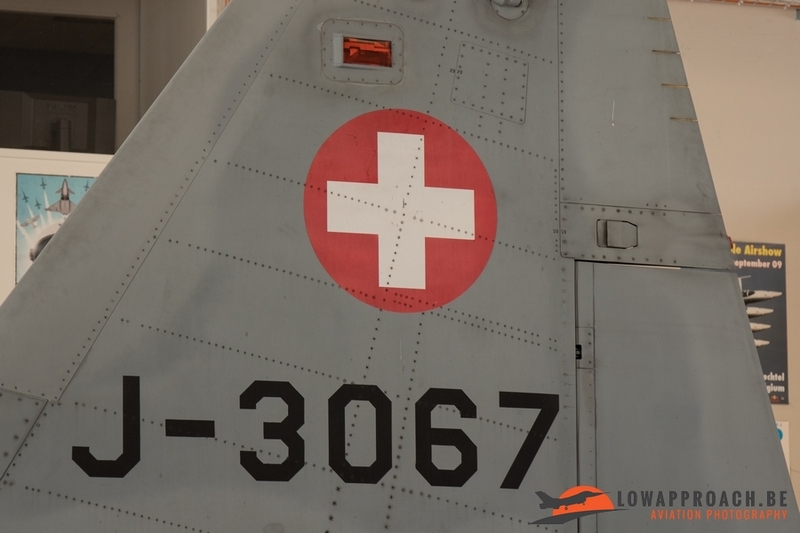 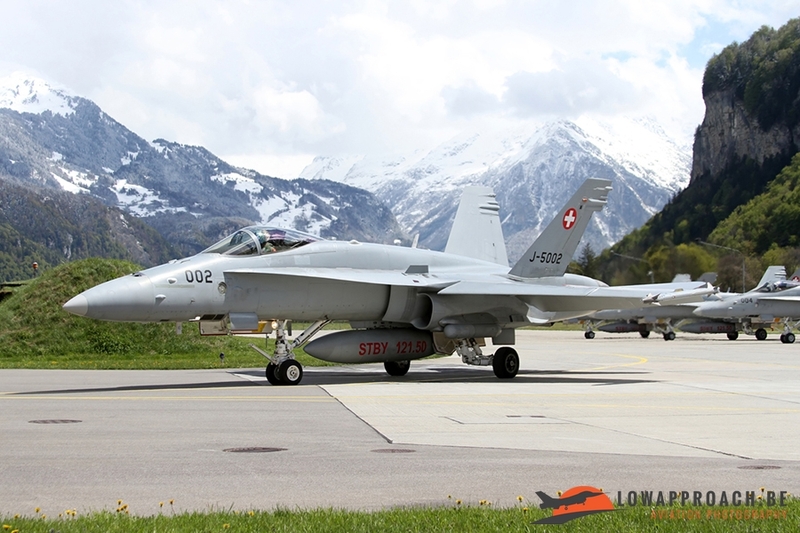 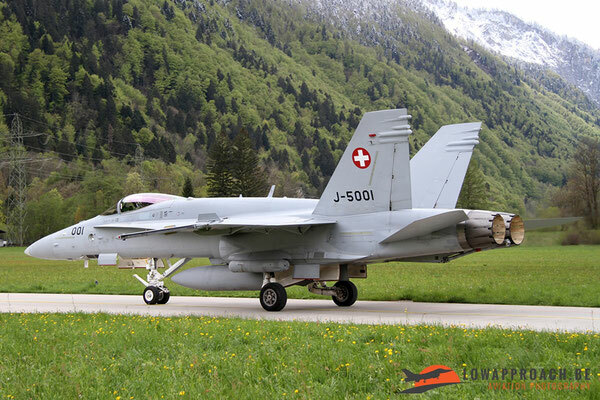 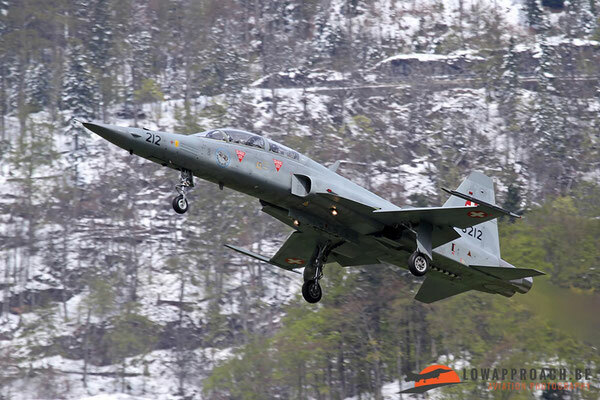 During our week of spotting in Switzerland we visited Meiringen air base 2 times. During our second day we even had a very nicely organized base visit, but more about that is explained later in this report. 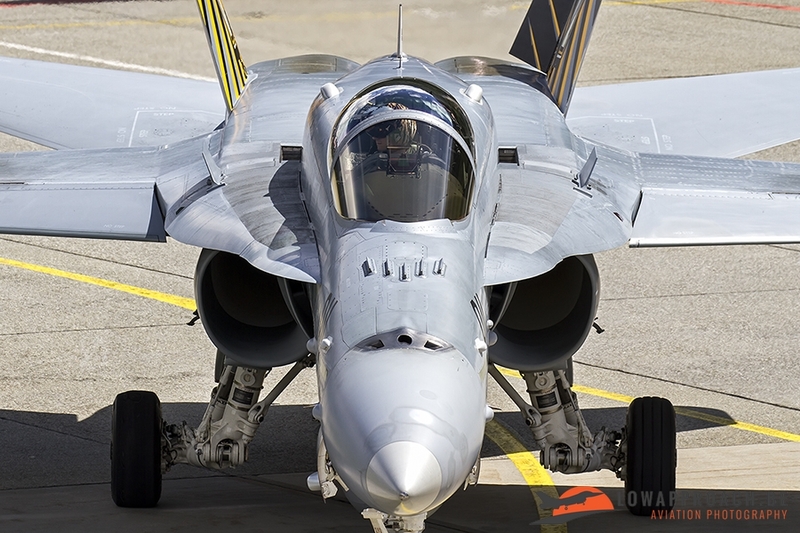 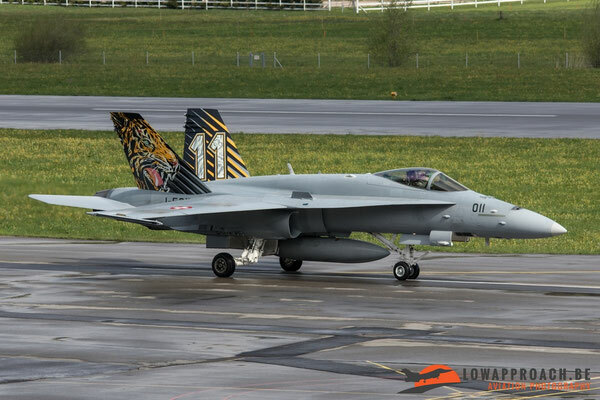 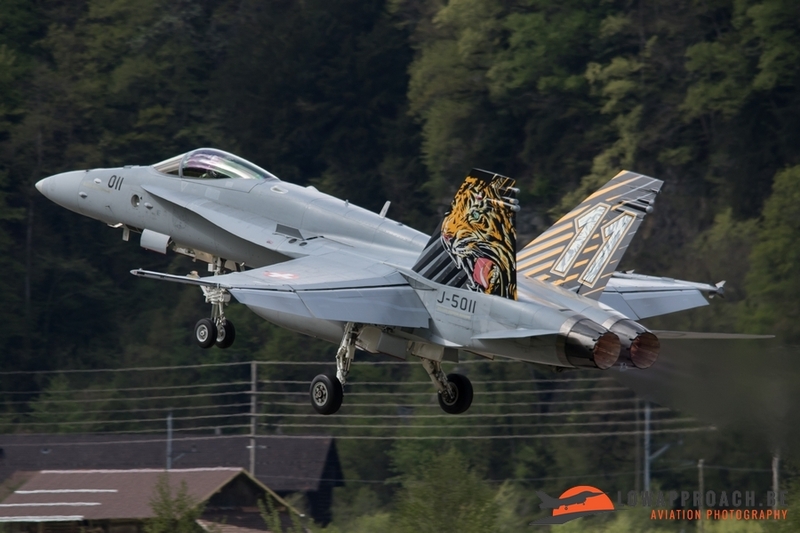 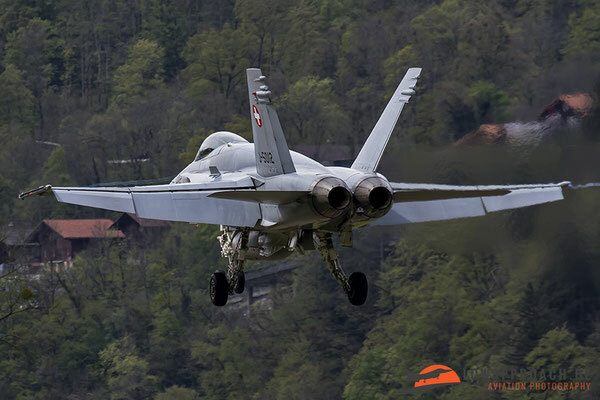 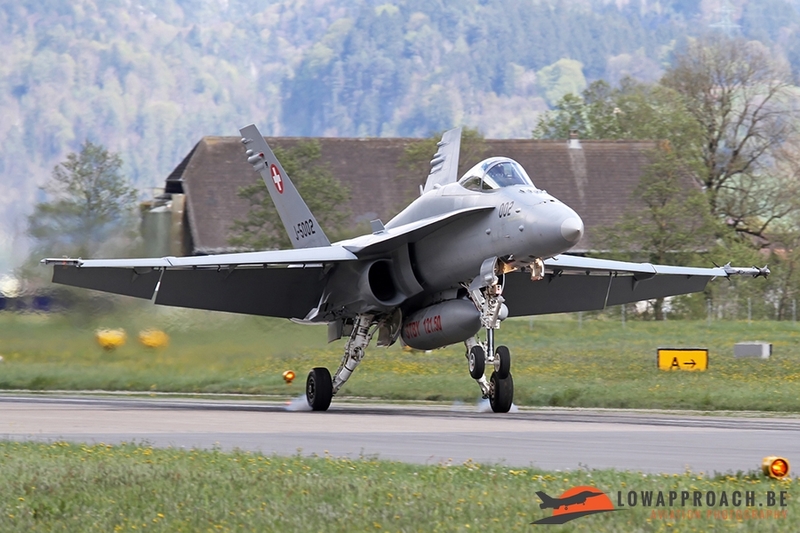 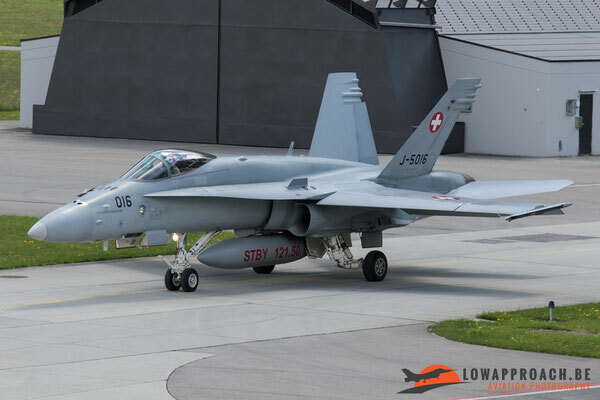 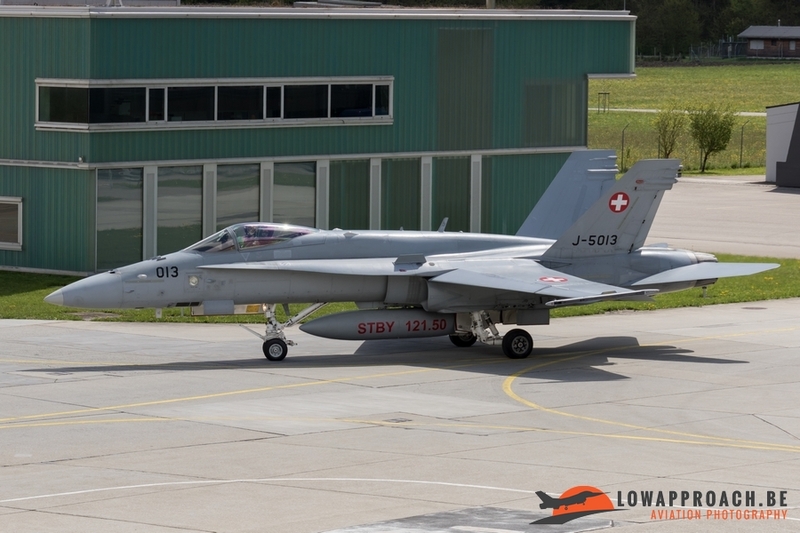 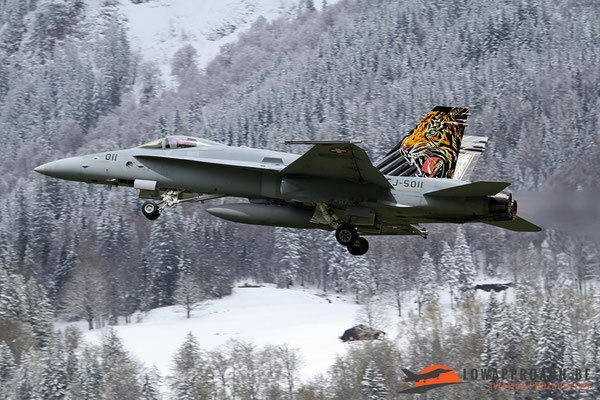 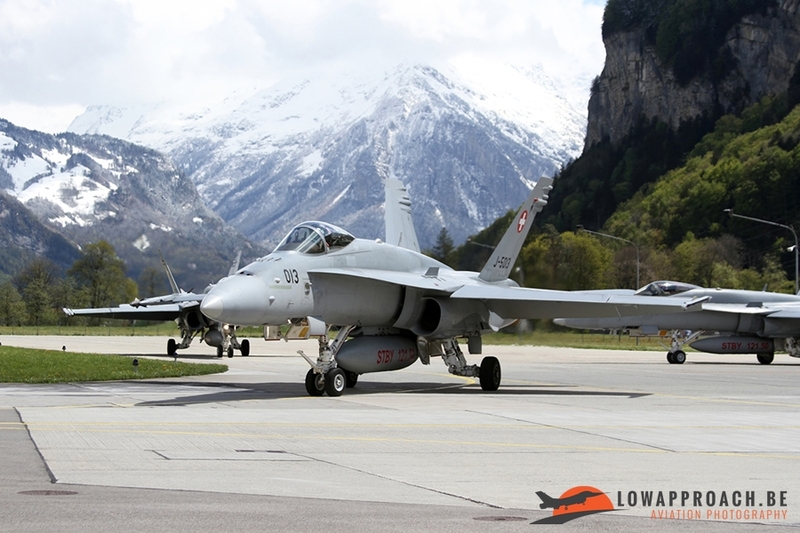 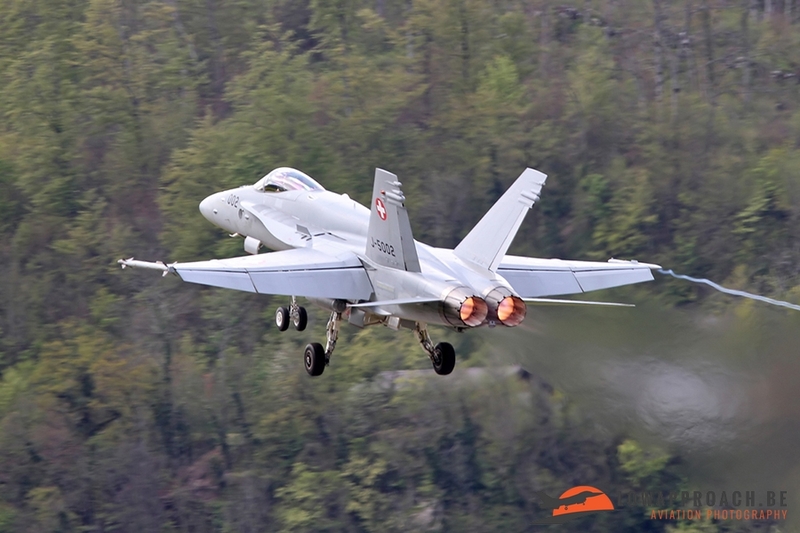 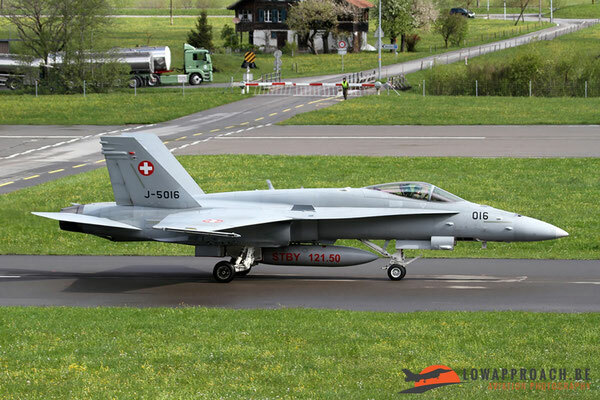 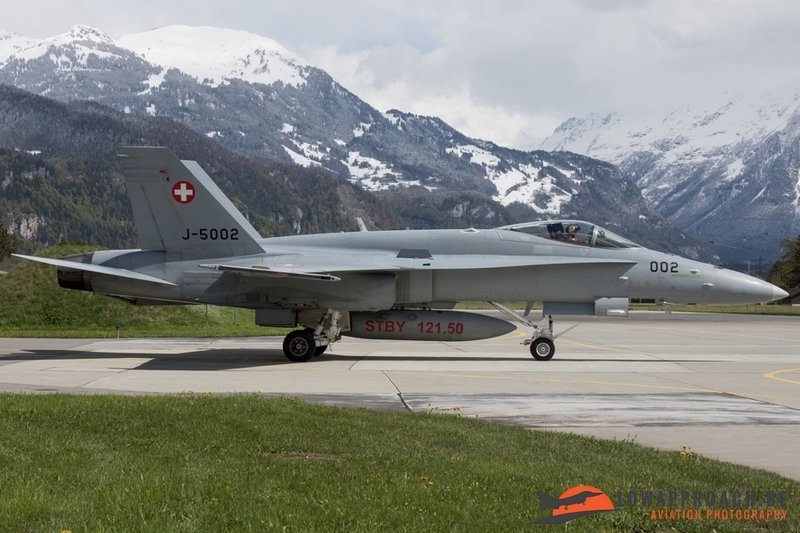 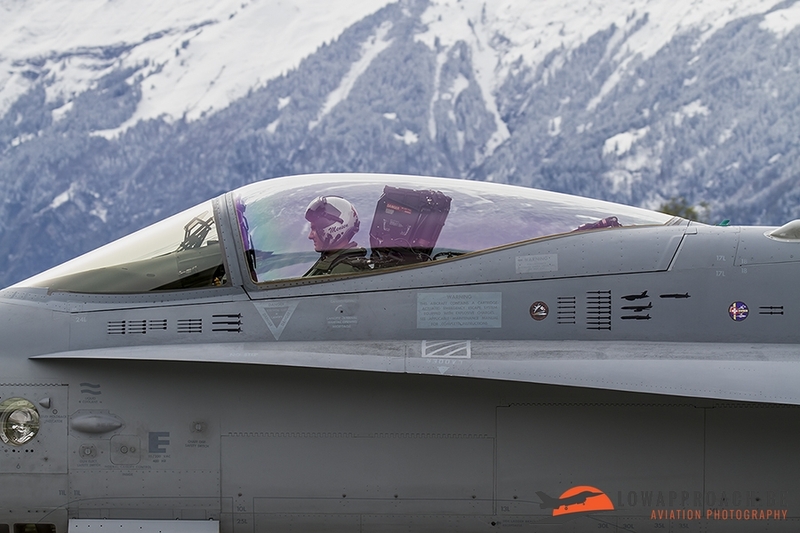 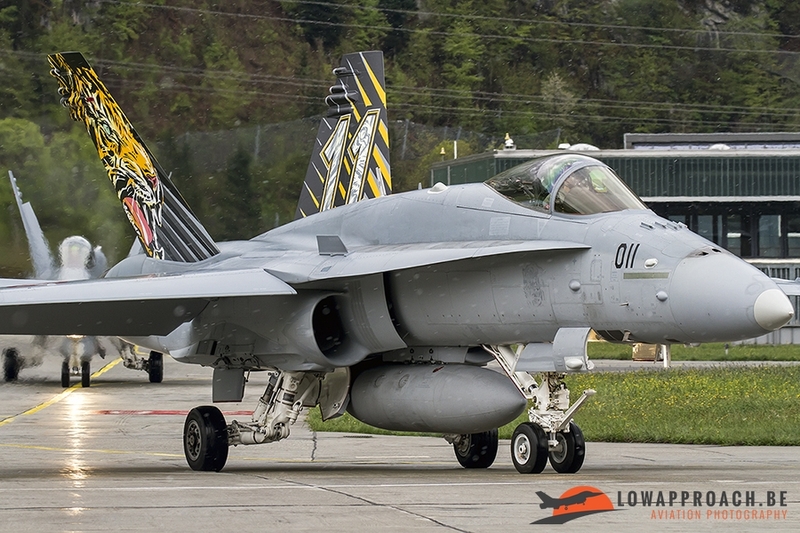 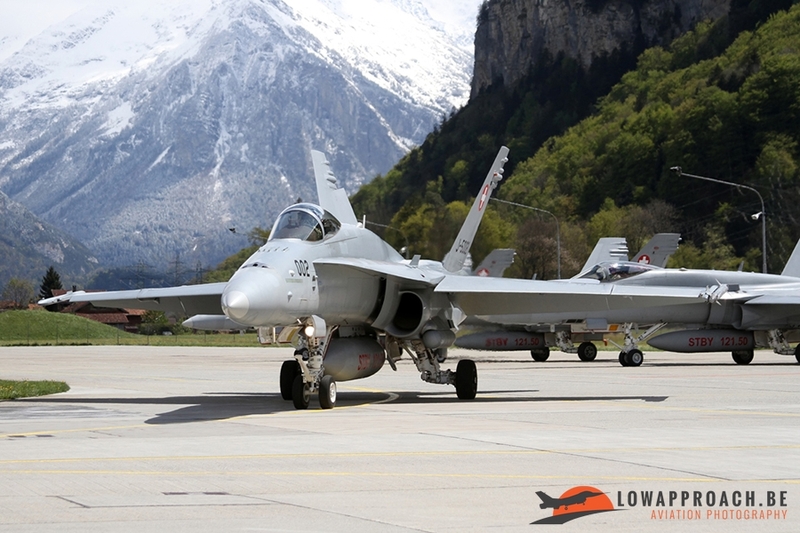 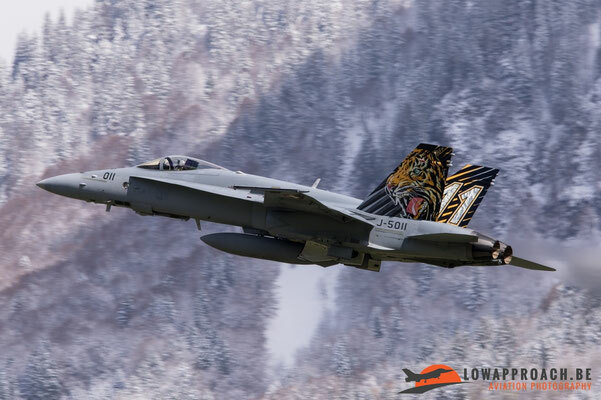 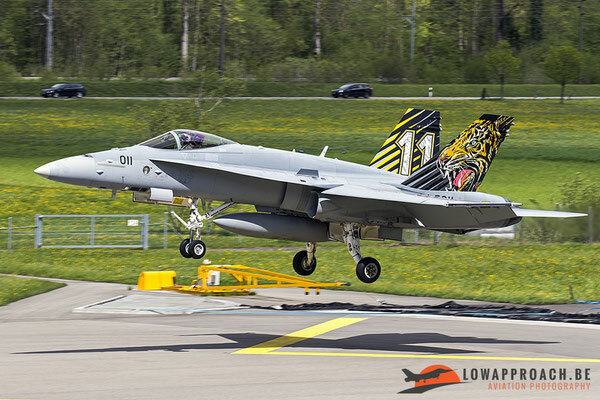 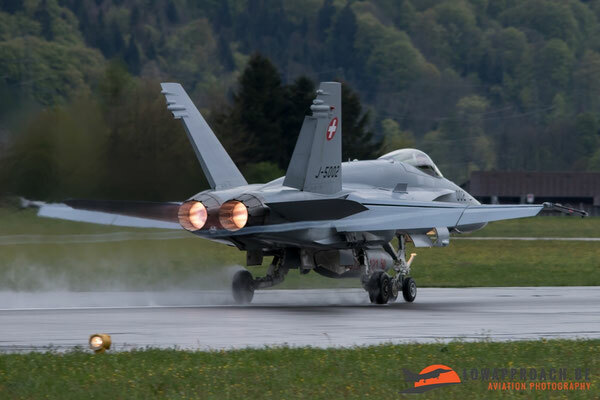 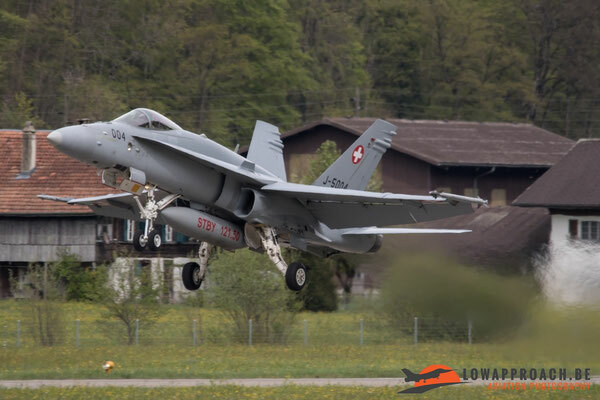 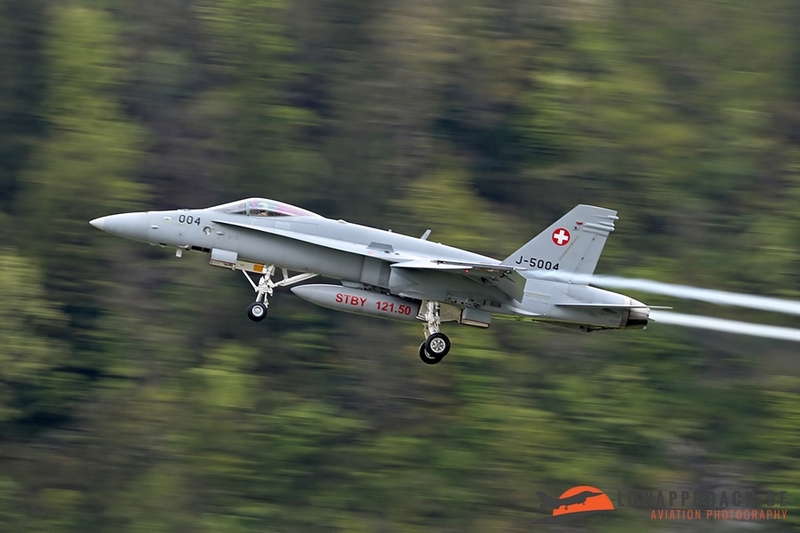 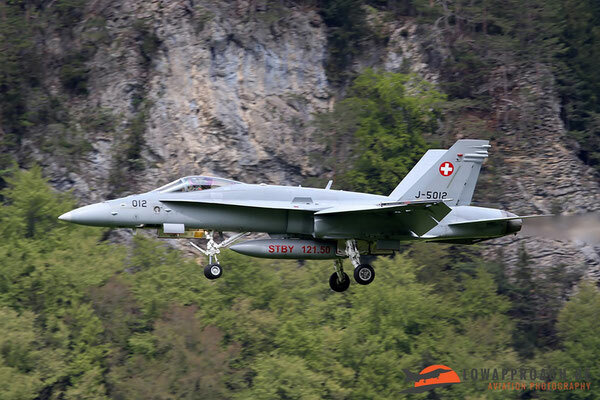 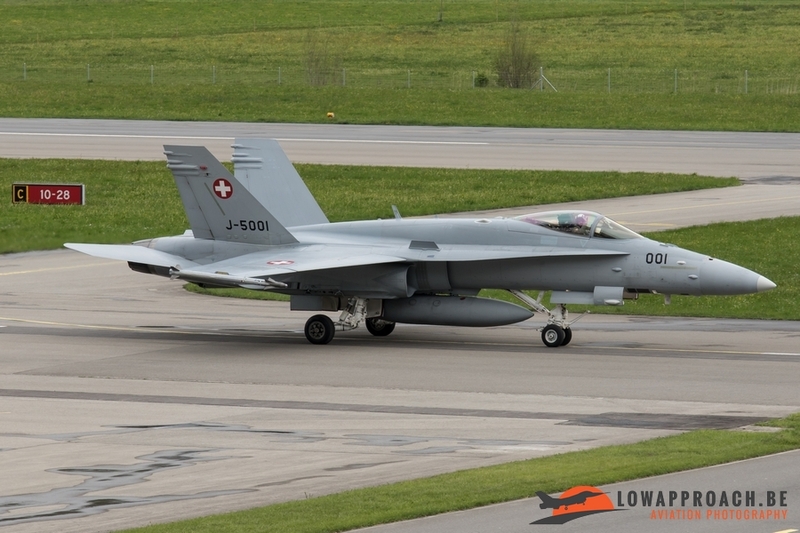 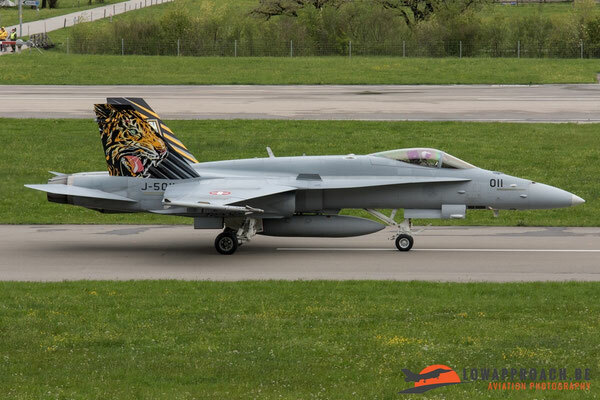 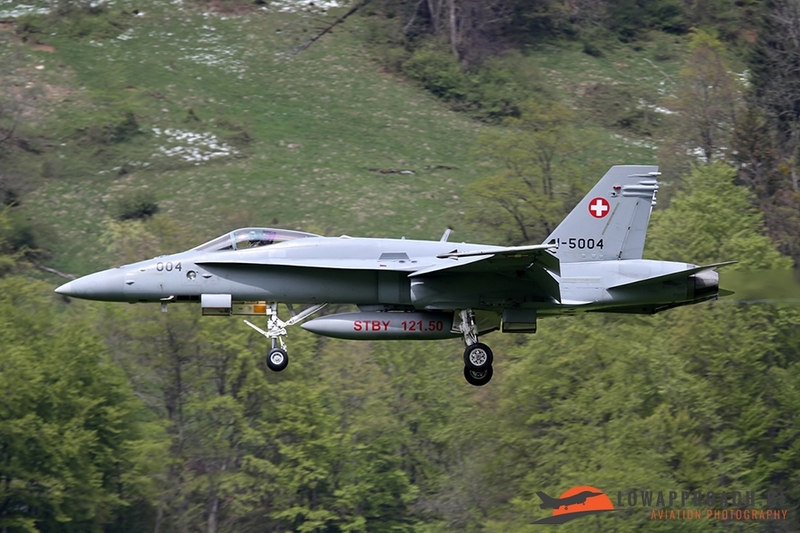 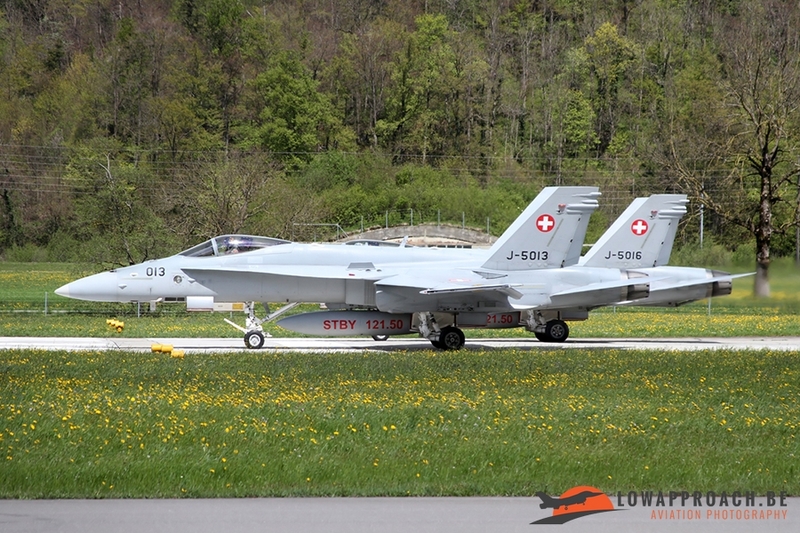 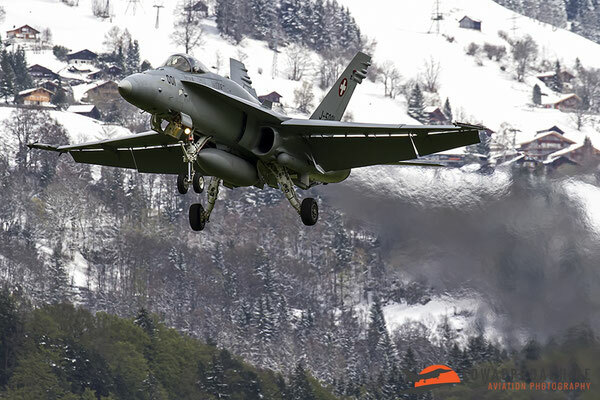 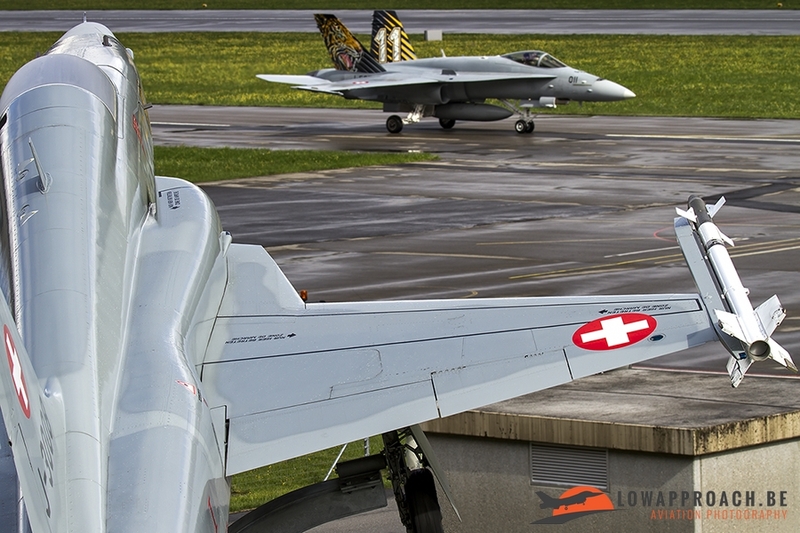 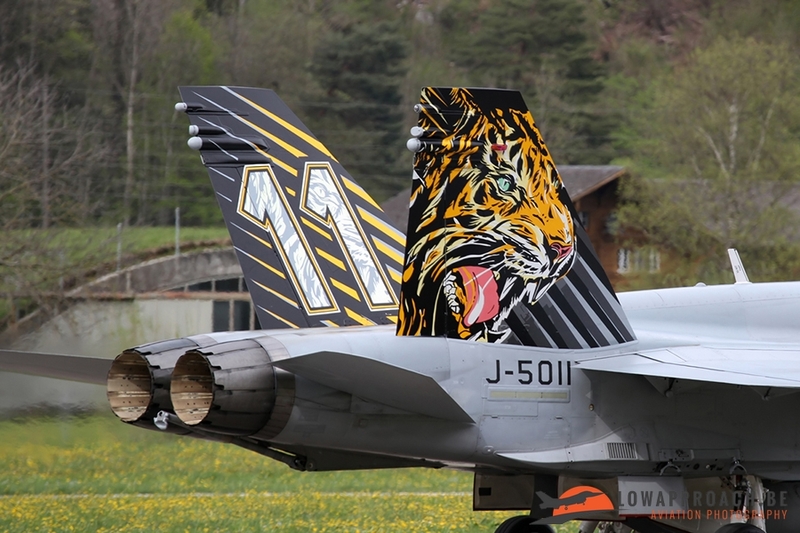 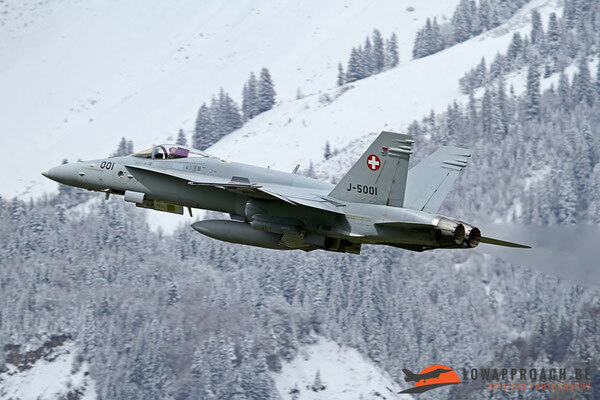 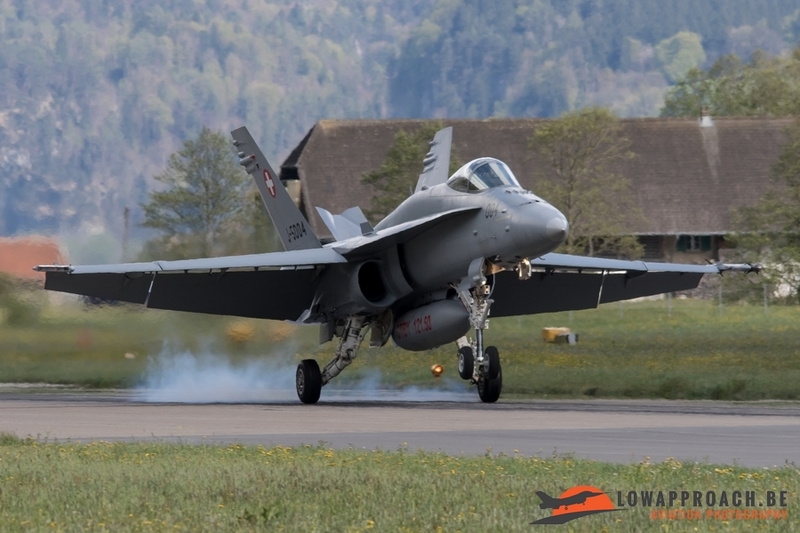 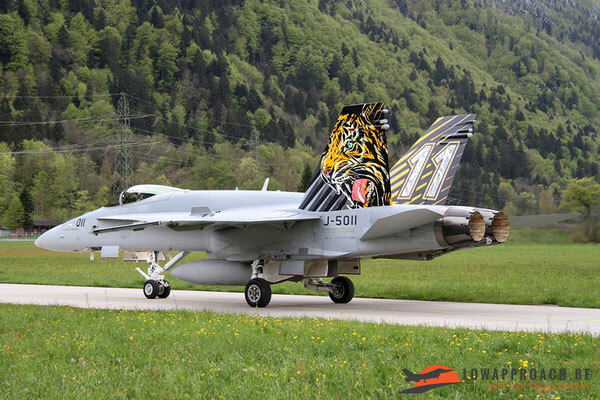 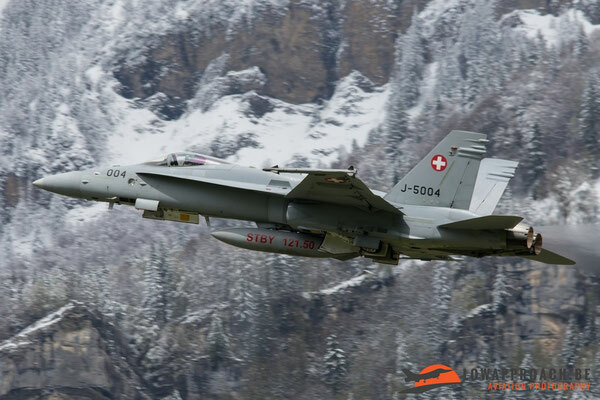 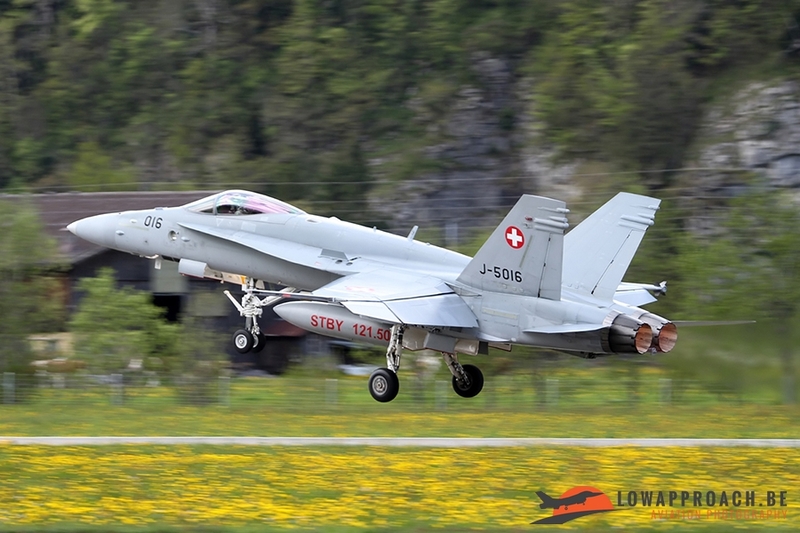 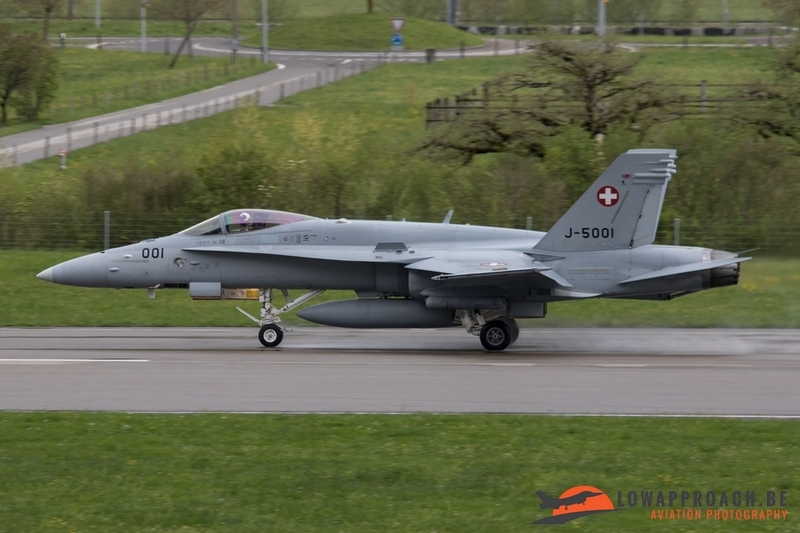 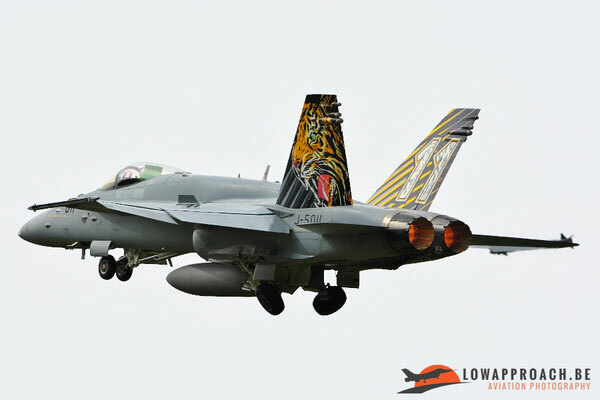 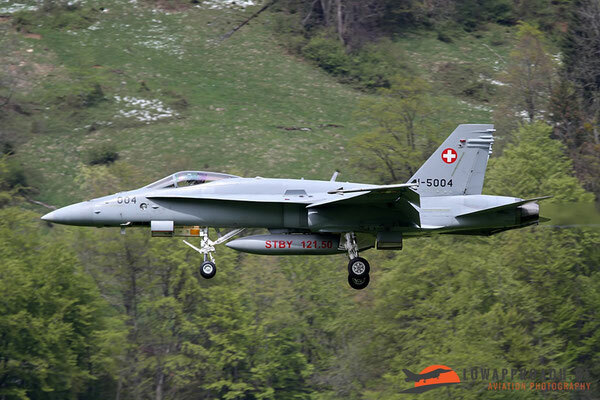 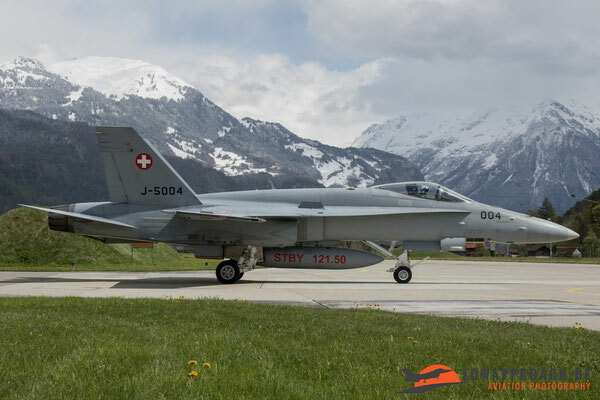 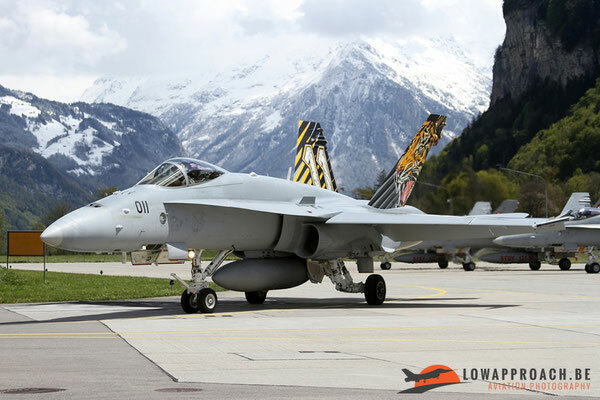 The air base at Meiringen is home of Staffel 11 flying the F-18 and has a Tiger as squadron logo and a militia unit which is Squadron 8 “Destructors” flying on the F-5. Together these two squadrons are part of Flugplatzkommando 13. The air base is located in a valley. From the air the only noticeable things that there is an air base is the runway, taxiways and the control tower. 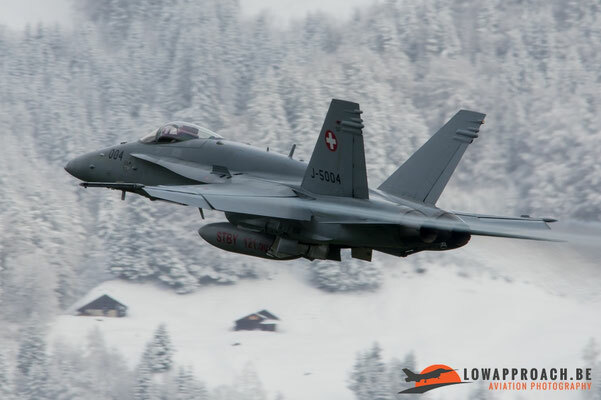 The Swiss Air Force is making great use of the mountains surrounding the base by using them to put their planes in instead of building countless shelters all over the airfield. 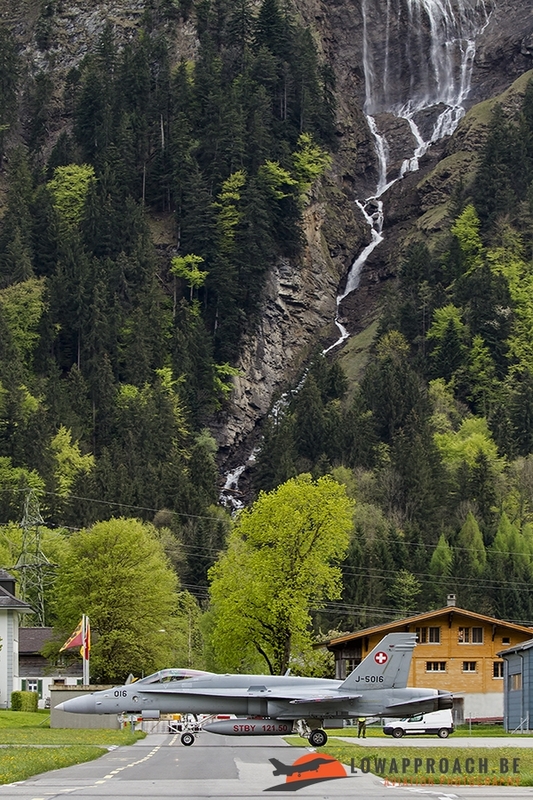 These mountain “shelters” are also known as caverns. 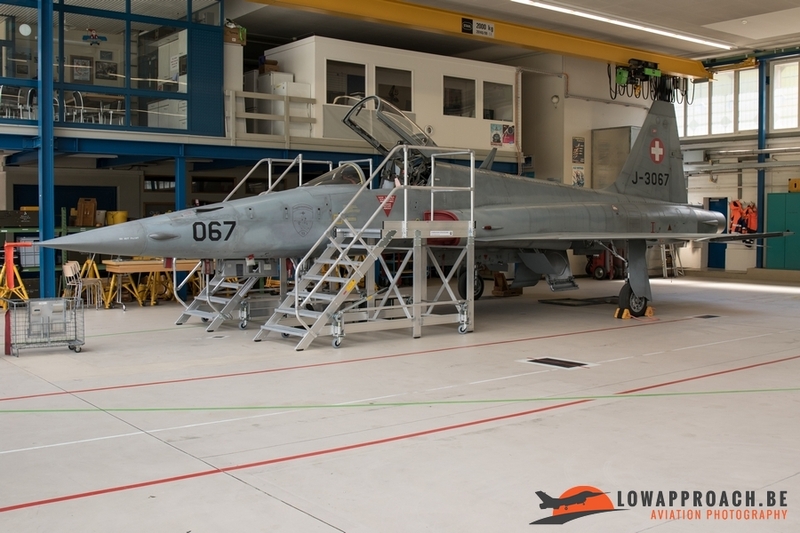 Unfortunately the caverns are top secret so we hadn’t had the chance to visit them during our base visit despite our deepest interest, so it will remain a mystery how they look like from the inside. 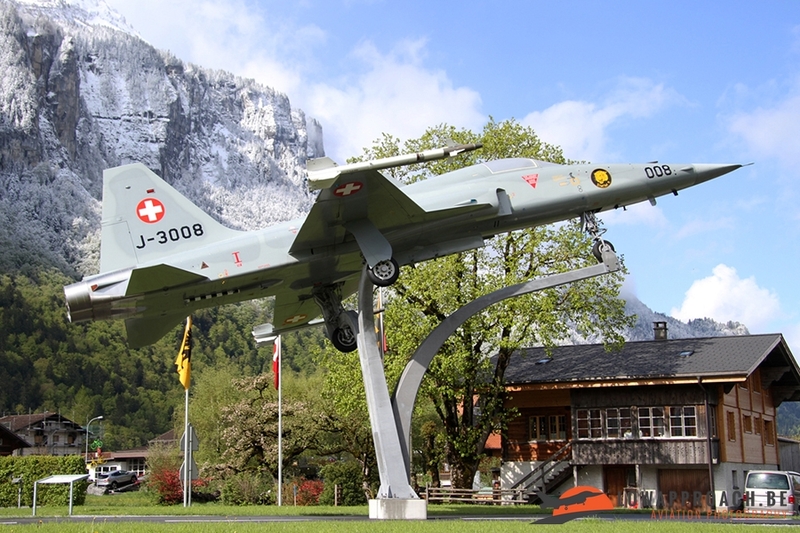 But that didn’t stopped us from spending an amazing 2 days at this incredible airbase. 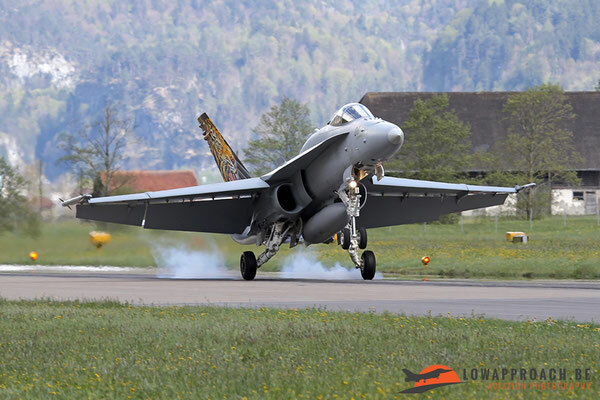 Meiringen has to be one of the best bases for taking pictures because you have numerous possibilities to position yourself and photograph the planes while taxiing, lining up, taking off and landing. 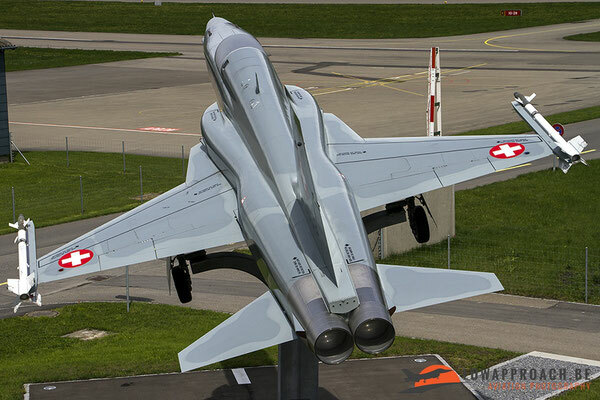 During the first day when we arrived we first positioned ourselves on the roof of the restaurant where they made a very nice terrace which offers you a nice overview of the base and a nice view on the, since last year installed, F-5E (which has never flown because it was used as an instructional airframe). From there we witnessed the departures and recoveries from the first wave of F-18’s. In the afternoon we choose to position ourselves somewhat in the center of the runway so we could photograph the fighters on take-off with the nice mountains as background. 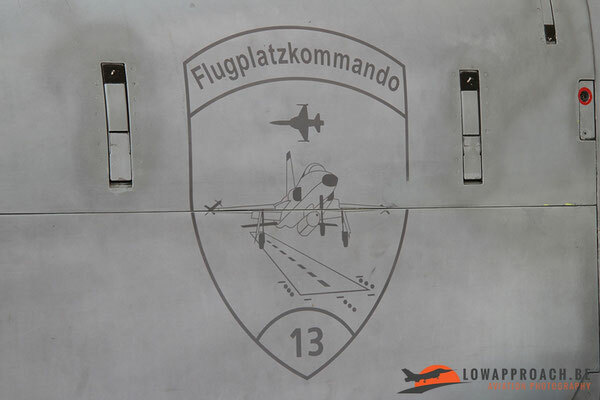 For the recoveries for the second mission we drove to the beginning of runway 28. 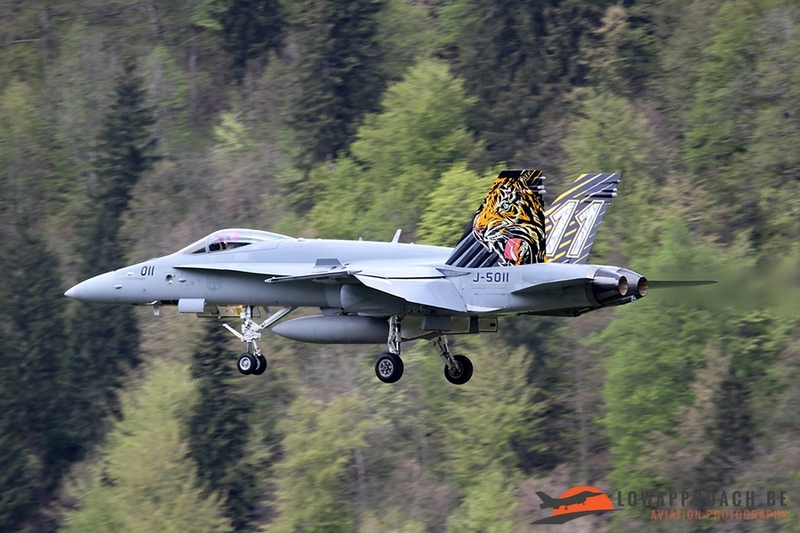 When all the local F-18’s from the second wave were back we were treated by 2 passages from a F-5F Tiger II, a variant from the F-5 family that you don’t see very often so we were really happy! 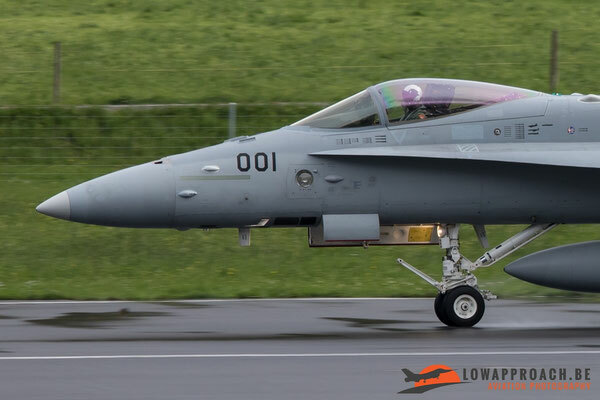 After these 2 very welcomed passages we heard again the great howl from the F404-GE-402 engines from the Hornets so we rushed ourselves again to the center of the runway to capture the take-off’s. 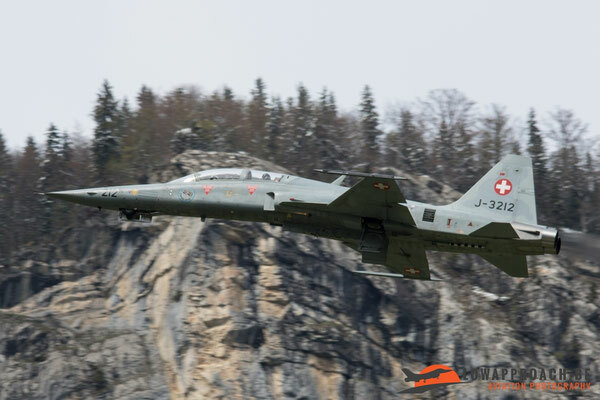 Soon after the last wave departed we saw a two-ship of Swiss PC-21’s making an approach at Meiringen but they were sadly too high to make a decent picture. 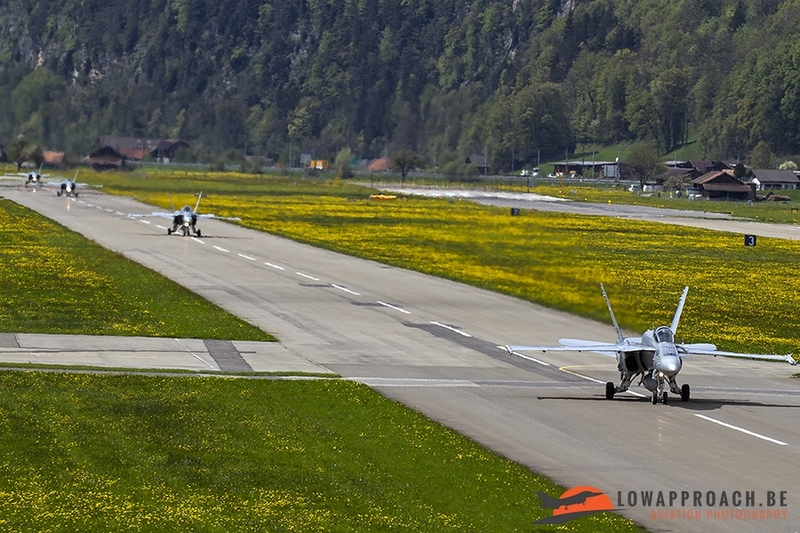 For the recoveries of the last wave we positioned ourselves next to the taxiway that leads towards the caverns. 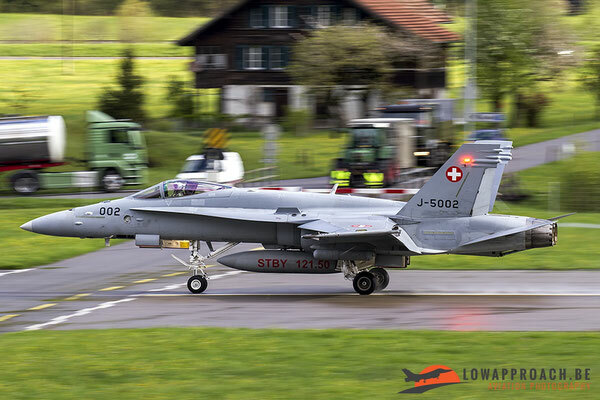 On our second visit we were just in time at the base to witness the first take-off of that day. 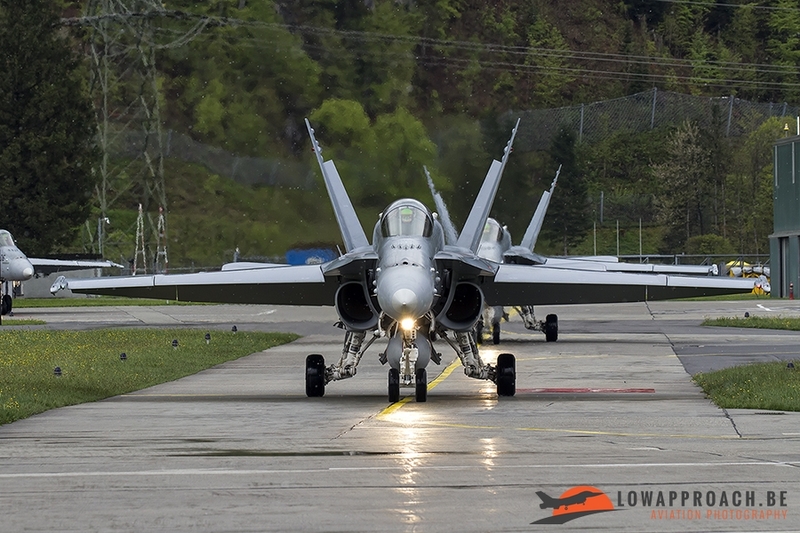 Afterwards we split up, some of us went back to the center of the runway to catch the Hornets on take-off and the other ones went to the beginning of runway 28 to picture the planes while they were lining up before take-off. For the recoveries from the first wave we once again choose the terrace on top of the base’s restaurant. 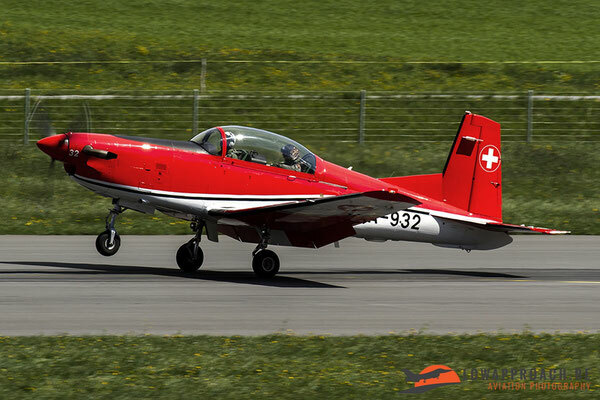 After the wave had landed we once again saw an approach from 2 PC-21’s but also this day they were too high to make decent pictures of them. 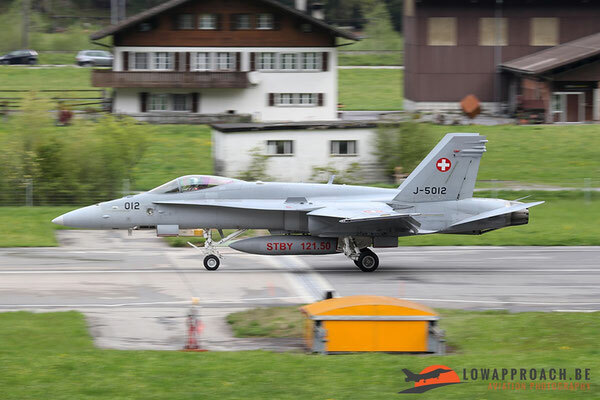 For the take-off’s from the second wave we opted again to go to the center of the runway to picture the aircraft while they were going airborne. 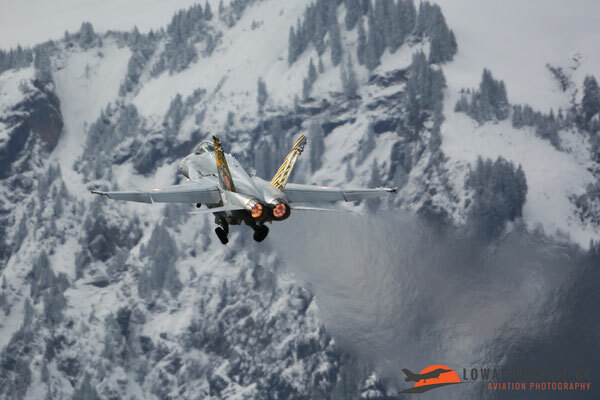 This time because the weather was better than the previous times we were there. When this wave was gone we saw the arrival of a NCPC-7 which held a full stop. Shortly afterwards the F-18’s from the second wave came back and once again we choose the comfortable terrace to catch the return. In the afternoon we were lucky to be able to have a base visit. The visit was rather short, but very well organized and we would like to thank everyone which made it such a great experience for us! 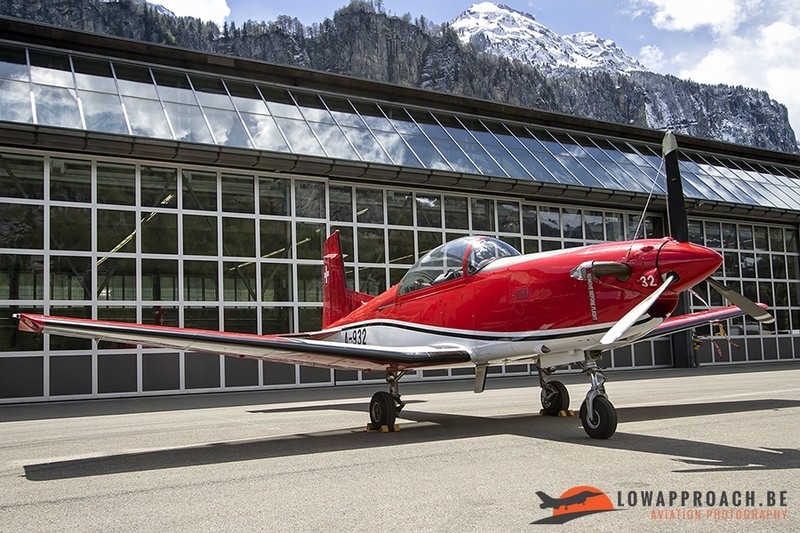 When we arrived we heard that we could photograph everything we wanted as long as we listened to our guide where we could stand and where not. 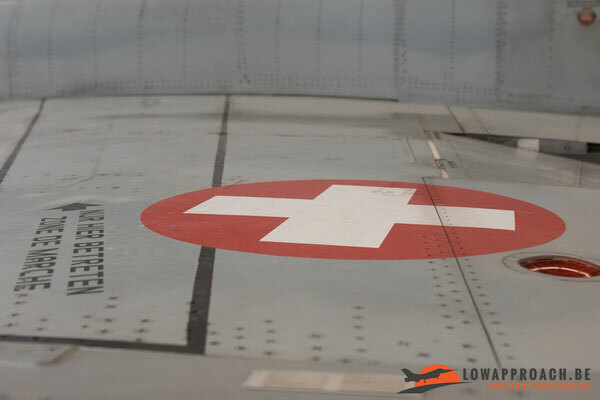 We were brought to one of the very few shelters on the airfield and we were allowed to stand on top of it so we had a great vantage point. 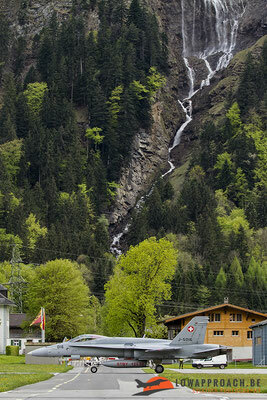 Our group of six friends split up in two groups, one group went up the shelter and another group stayed on the ground. From these two spots we could make some really great pictures from the first wave of F-18’s that had their last checks before take-off and the lining up on the runway. When all the aircraft from this wave were airborne we were brought to the maintenance hall. In front of the hall was the NCPC-7 that landed earlier that day and we were given the possibility to make some nice pictures before entering the maintenance hall. 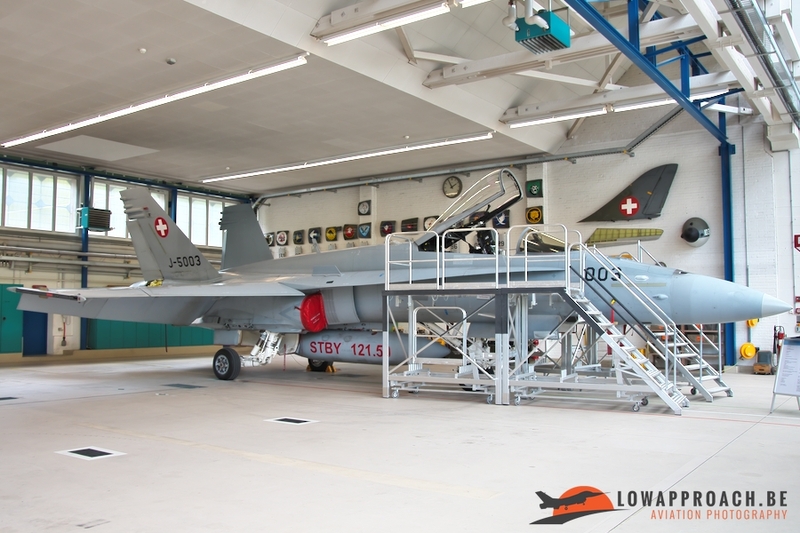 Inside the maintenance building were an F-5E and an F-18C undergoing some maintenance. 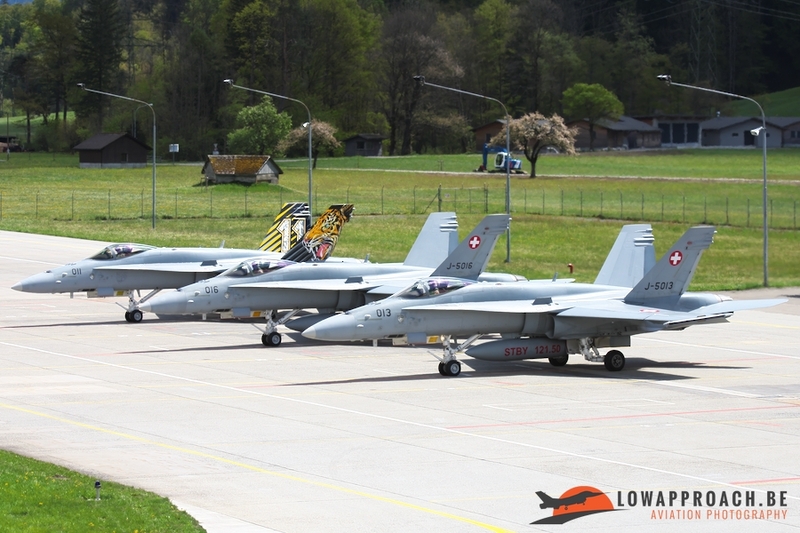 Firstly we were given the possibility to make some general photos of these planes and afterwards we could make some more detailed pictures. 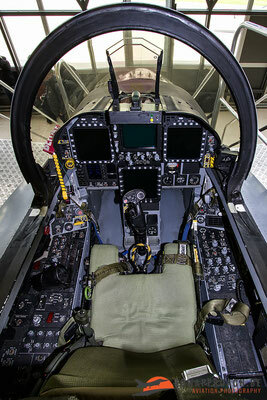 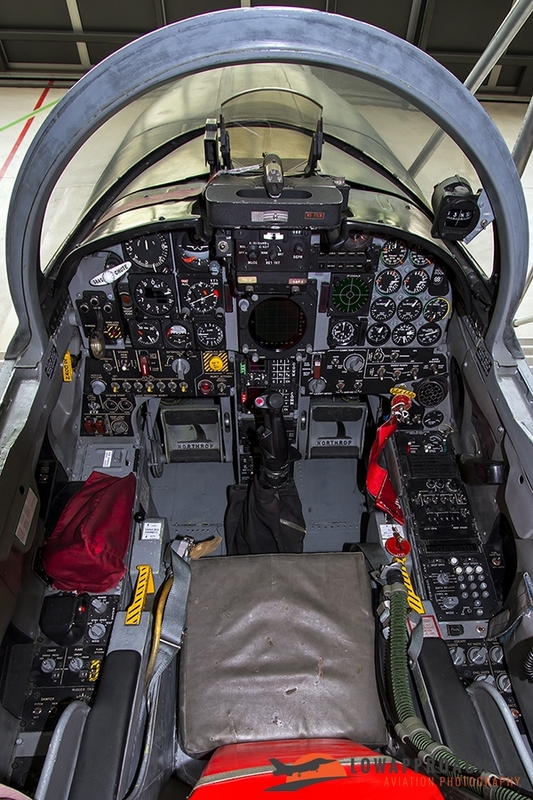 When we wanted to make some detailed pictures we were really surprised when they said that we could also photograph the cockpit from both the F-5 and the F-18! 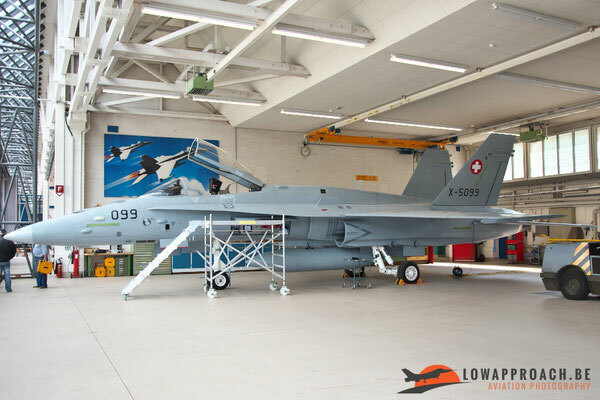 Also in the maintenance building was another F-18, with serial X-5099, but this wasn’t a real one. 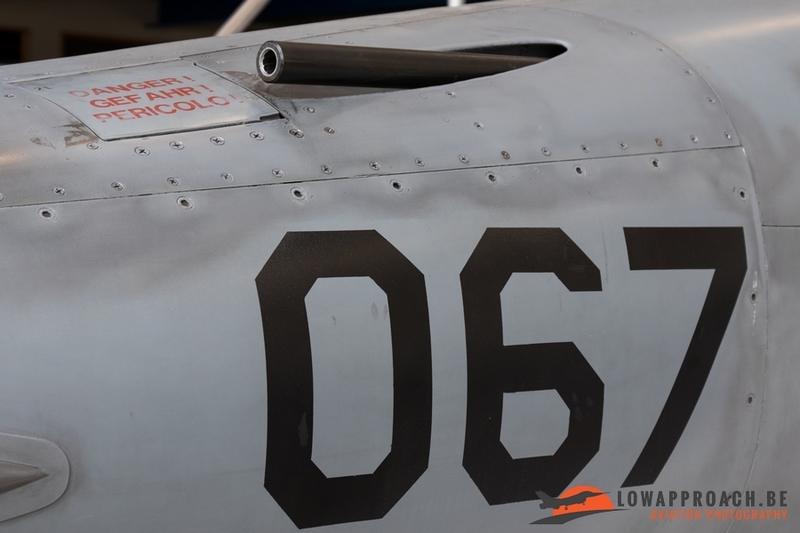 This F-18 is made out of fiberglass and used for training purposes. 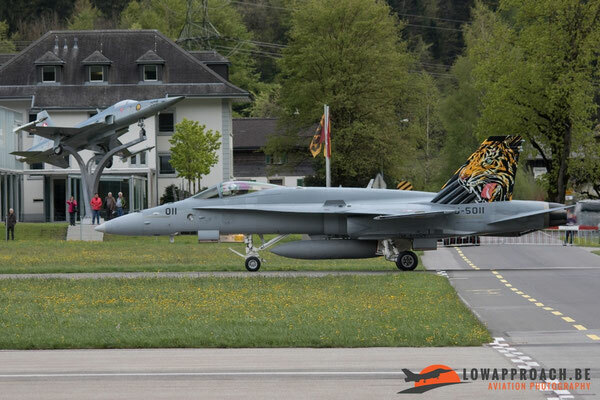 After the visit to the maintenance building we were brought back to the area were we witnessed the departures from the F-18’s. 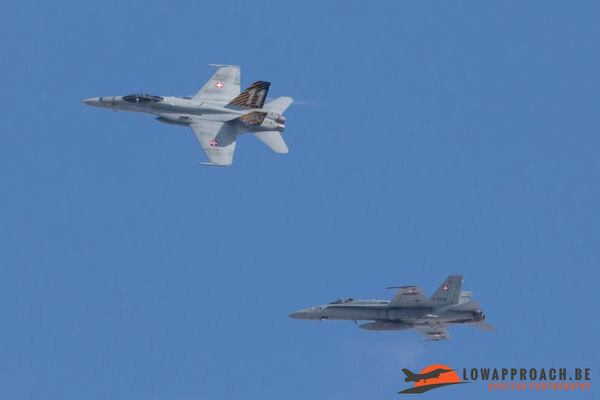 This time we could photograph the recoveries from the F-18’s. 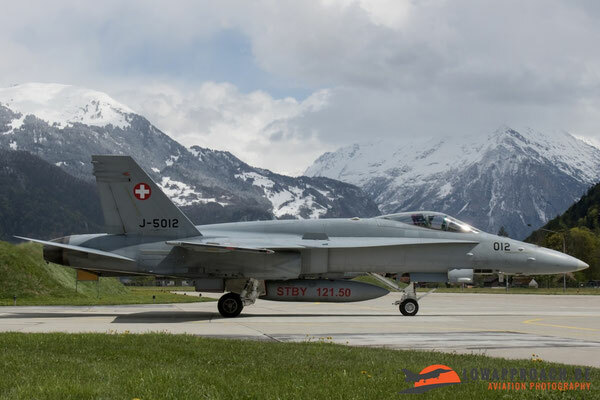 After the recoveries the base visit was over but it was well worth it, we really enjoyed it and would once again like to thank everyone that arranged this great experience for us. 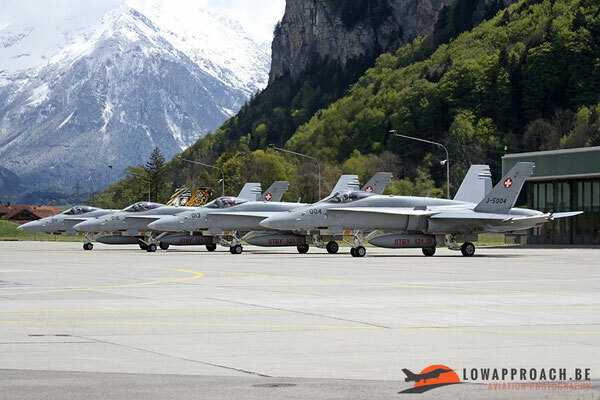 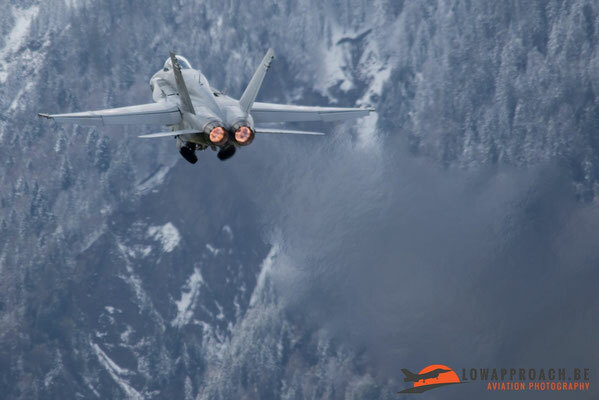 After the base visit we stayed at Meiringen and positioned ourselves again somewhere next to the perimeter of the airbase to catch the last wave of F-18’s departing and recovering. 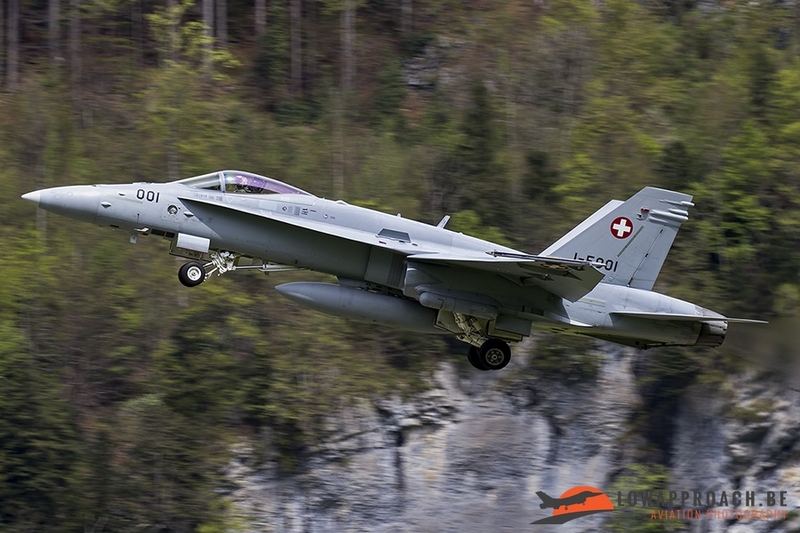 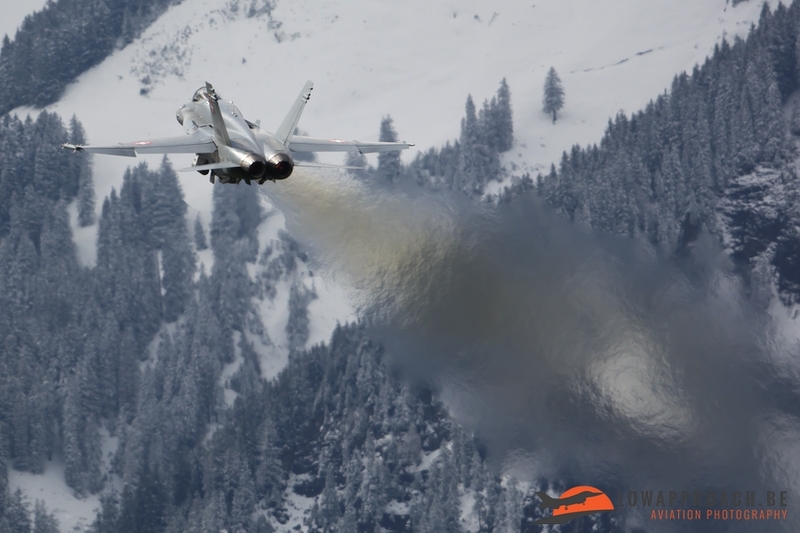 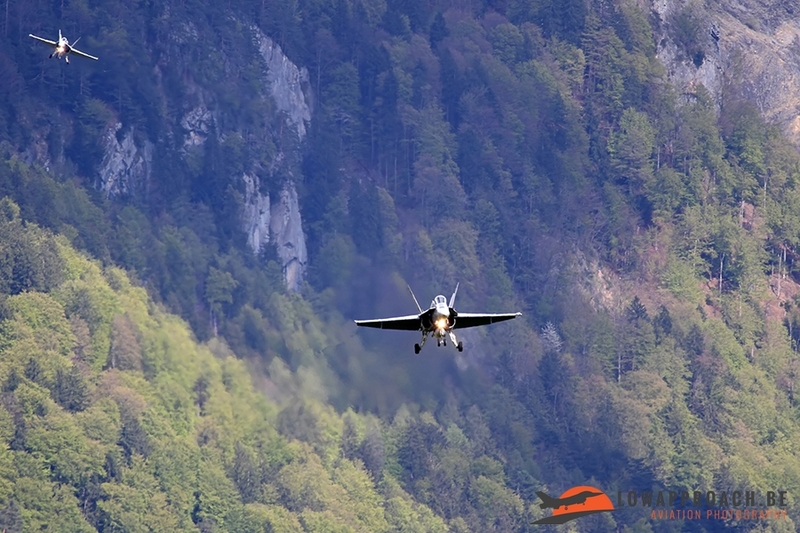 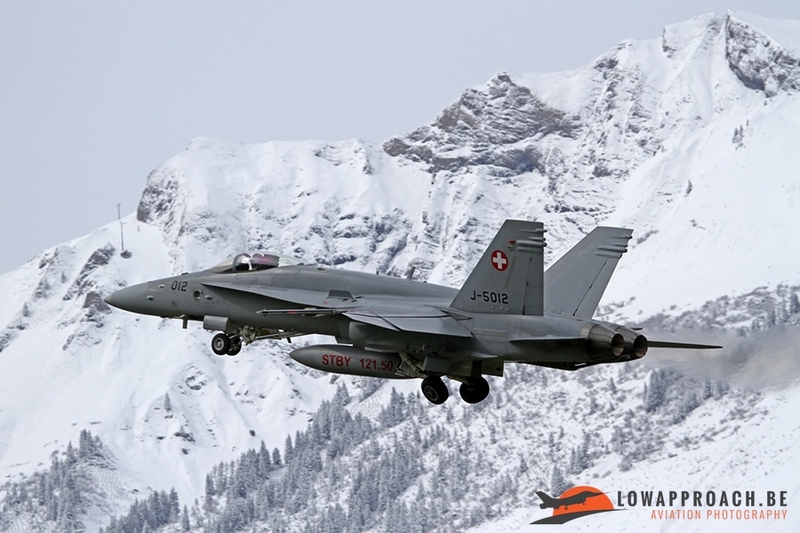 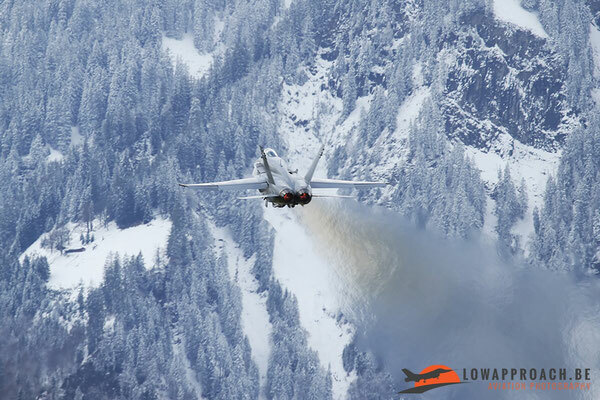 During the two days that we visited Meiringen we mostly saw the same F-18’s flying. 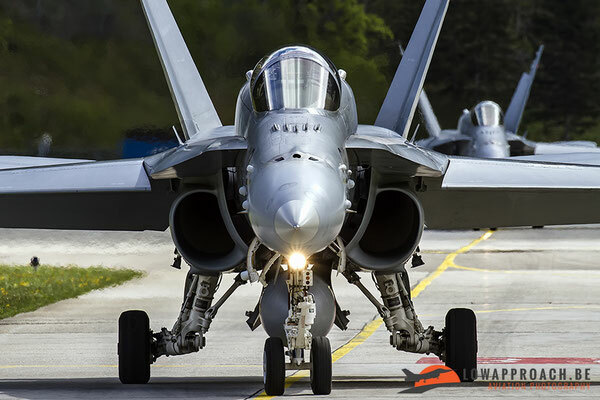 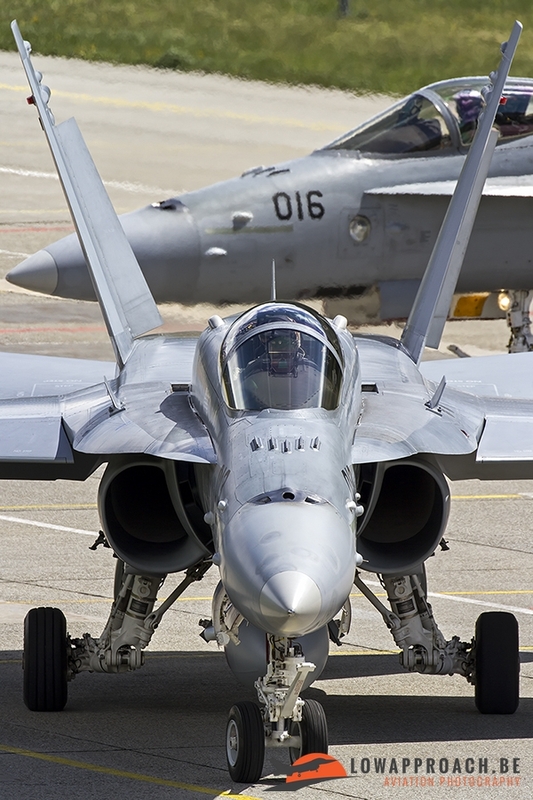 But there’s one F-18 in particular we want to mention. This is the J-5001. 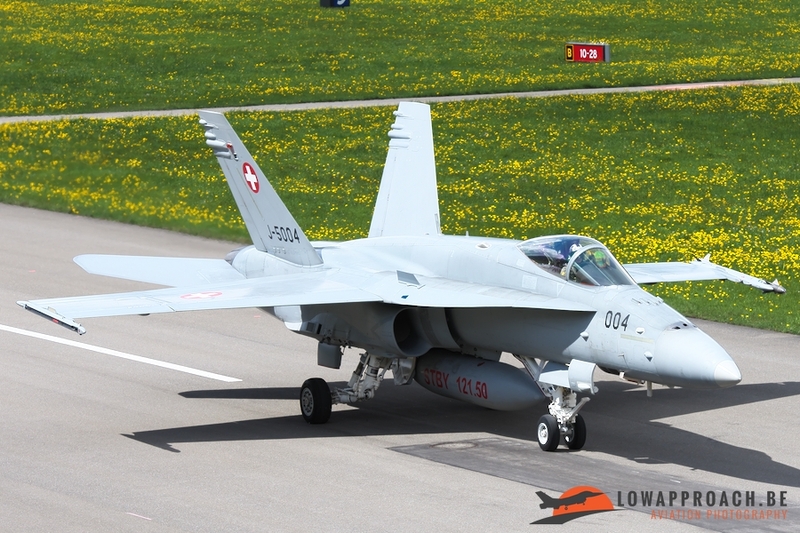 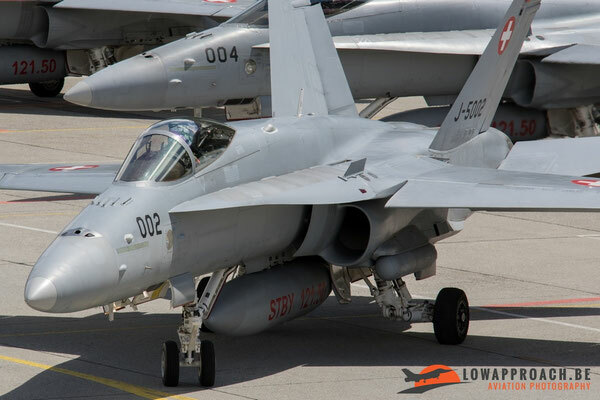 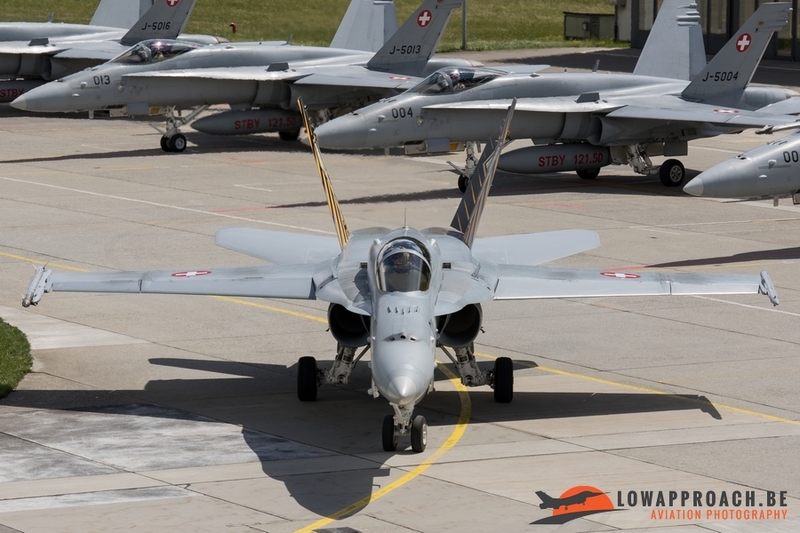 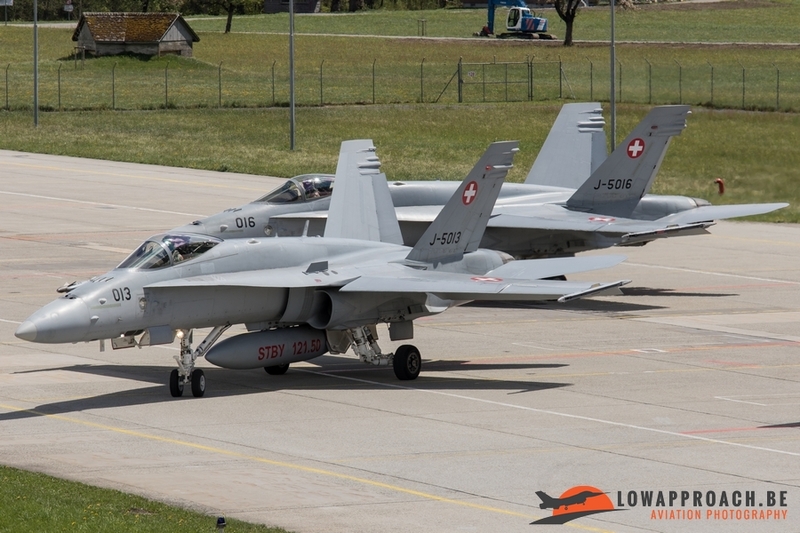 This F-18 together with the two-seater J-5231 were the only ones that were actually build in the US, all the other F-18’s were licensed build in Switzerland. 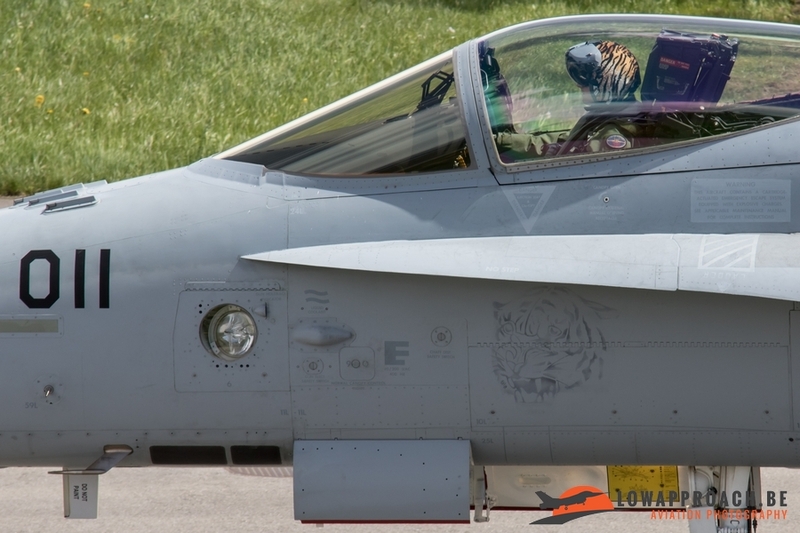 This particular F-18 also has a lot of markings underneath the canopy. 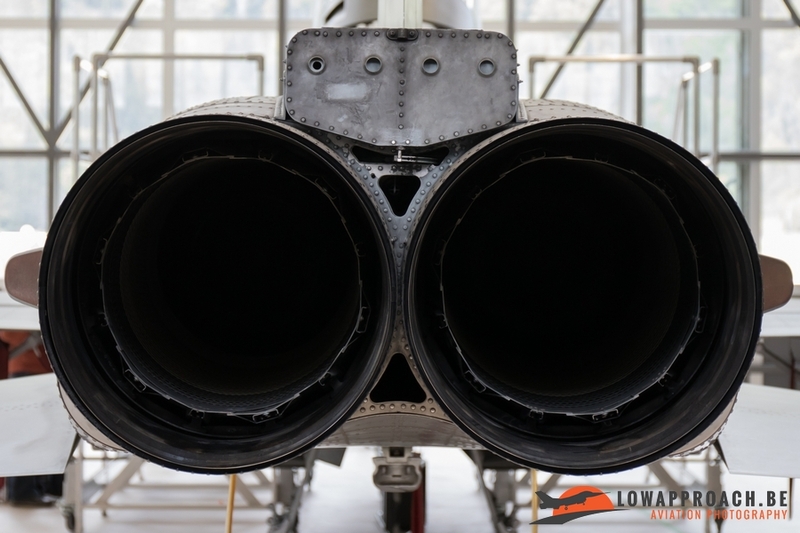 These marking are part of weapons and missiles testing’s that this F-18 did. 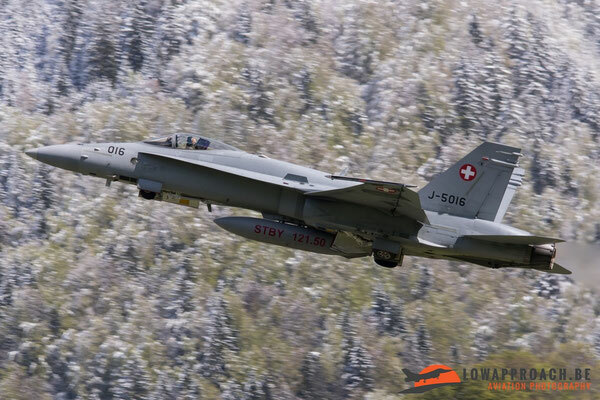 Our two visits at Meiringen during our week in Switzerland provided us with some great images. 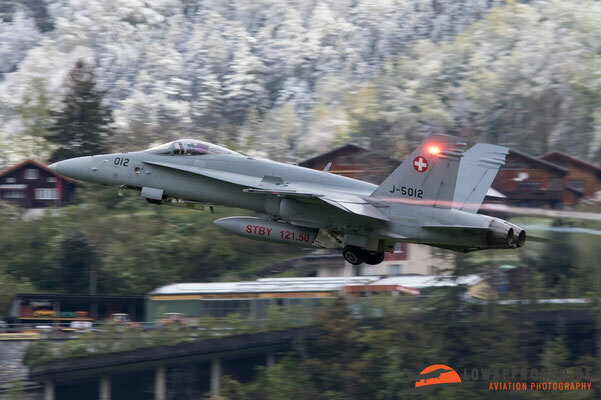 Like already mentioned in the beginning of this report, Meiringen Air Base offers really great spots from where you can make lovely pictures. 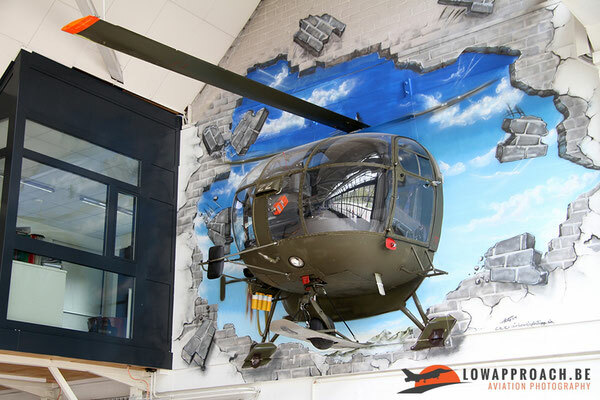 It’s a base you should definitely visit when you’re on a spotting trip in Switzerland!